Mauricio Macri supporters in Argentina. Magalí Iglesias/Flickr. Some rights reserved. A new right is emerging in several parts of the world. In Latin America, it has a profile of its own and a new, unprecedented social base. If we are to oppose it, we must know it, shun simplistic judgments and understand the differences with the old right. Argentina’s Mauricio Macri is quite unlike Carlos Menem. The latter introduced neo-liberalism, but he was very much the son of the old political class, and showed some respect for the law and institutional rules. Macri is the son of the neoliberal model and he behaves according to the extractive paradigm, for which spoil is the main argument. He does not hesitate to bypass the values of democracy and its procedures. Something similar can be said of the Venezuelan right: the name of the game is to achieve results regardless of the means. The operating mode of the new Brazilian right differs even from Fernando Henrique Cardoso’s privatising government. Today, the referents are the likes of Donald Trump and Silvio Berlusconi, or of militaristic, warlike Turkish president Recep Tayyip Erdogan, who respects neither the Kurds nor the legal opposition, the premises and meetings of which are systematically attacked. This new right relates to Washington, but it is of little use to think that it acts mechanically, following orders coming from an imperial centre. The regional right, especially in the larger countries, enjoys some flight autonomy in defending its own interests, especially if backed by a more or less developed local business sector. But what is really new is the broad mass support it gathers. 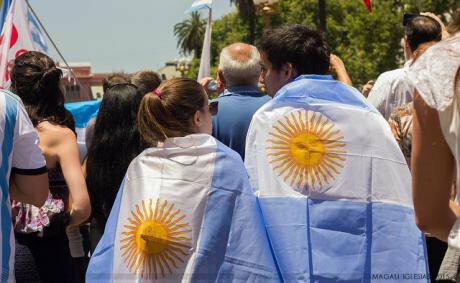 As has been rightly pointed out, never before in Argentina had the right reached the Casa Rosada through elections. This novelty requires some explaining which cannot fit into such a short space as this article. Nor does it seem appropriate to attribute all the right’s progress to the media. What reasons are there to argue that rightwing voters are being manipulated while leftwing voters are conscious and lucid? There are two issues that need to be cleared before entering a broader analysis. First, the new right’s way of doing things, its authoritarianism without an argument, almost unbridled. Second, the reasons for the new right’s mass support, which includes not only the middle classes, but also a part of the popular sectors. On Macri’s authoritarian decisions, writer Martín Rodríguez maintains that Macrism acts like the Islamic State: its power grab represents a profanation of the sacred temples of Kirchnerism. The mass layoffs which have been decreed are based on the firm belief that middle-class public servants are privileged people who get paid for doing no work. The political cost of such a mighty decision has been so far very low. The comparison with the ways of the Islamic State may seem exaggerated, but it does have a point of contact with reality: the new right comes razing, wiping out everything that gets in its way, from workers’ acquired rights to institutional rules. To its thinking, to be democratic is to just count the ballots every four or five years. The second issue is to understand the mass support for the new right. Anthropologist Andrés Ruggeri emphasizes that the right has been able to build a reactionary social base that can be mobilized, grounded on the most reactionary sectors of the middle class, which are sectors that have always been there and which supported the military dictatorship in the 70s. This social base is composed of voter-consumers who buy their vote as a supermarket product. The new right considers that the greatest mistake of Cristina Fernández’s government was, instead of fostering an organized popular subject, to have promoted a dismembered, individualistic and consumerist society, which came to think that the gains of the 2001 struggle, and the social benefits obtained during its 12 years in office, were acquired rights which were not at risk. Convincing the voters that this was so, was undoubtedly the great achievement of the right’s campaign, key to its victory at the polls. Today, the middle classes are very different from those in the 60s. They are no longer composed of graduates from state universities, who actually read books and kept on studying after finishing their academic training, whose aim was to get to work for medium salaries in state agencies, and who socialized in public spaces where they came together with the popular sectors. The new middle classes’ referent is the very rich, they set their sights on living in gated communities, far from the popular classes and the urban fabric, and are deeply consumerist and suspicious of free thought. A decade ago, a part of these middle classes used to bang pots against Finance Minister Domingo Cavallo’s corralito, and occasionally joined the unemployed (picket and pan, the struggle is one, was the motto in 2001). Today, they are only concerned with ownership and security, and they believe that freedom consists in buying dollars and staying at five-star hotels for their holidays. These middle classes (and a part of the popular sectors) are culturally modeled by extractivism – that is, by the consumerist values promoted by financial capital, so far removed from the values of work and effort that industrial society was promoting just four decades ago. The proponents of the neoliberal model get a floor of support of around 35-40 percent of the voters, as shown by all the electoral processes in the region. We often do not know how to deal with this new right. It will certainly not be defeated through agitation against imperialism, but by showing that life can be enjoyed without falling into consumerism, debt and individualism. This article was previously published by La línea de fuego.